We never do a naughty or nice list because we think all dogs deserve to be spoilt at Christmas time! Make sure your dog doesn’t miss out on presents on Christmas morning! This carefully curated dog treat gift box is the perfect way to spoil your pooch. It can be wrapped up perfectly to sit under the tree, ready to share the love on Christmas - if it lasts that long! 1 pack of no-melt icing Christmas biscuits. Limited stocks are available so you’ll need to be quick! NB: A percentage of sales from these Christmas Gift boxes goes to the French Bulldog Rescue of Victoria, a rescue group Laila and Me hold very dear to their heart. 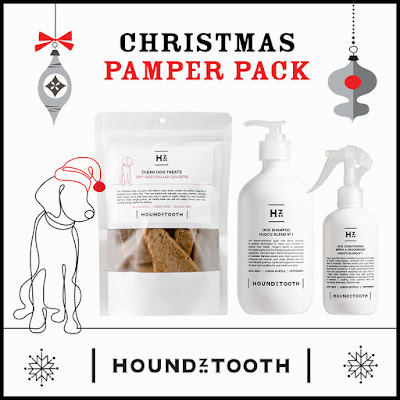 Pamper your pooch this Christmas with this personalised Houndztooth Pamper Pack. 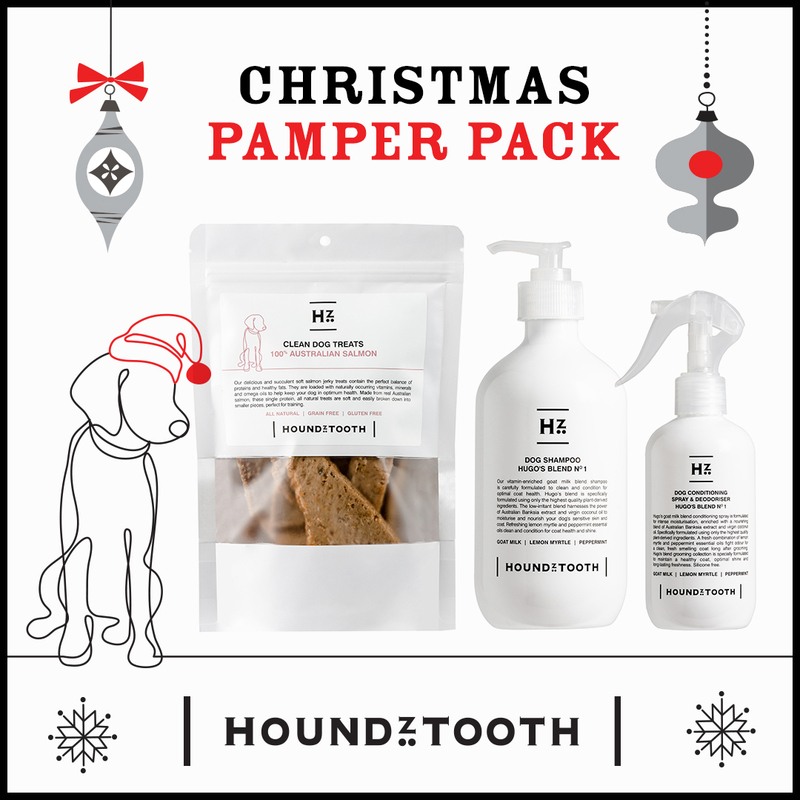 Rejoice in your dog’s delight on Christmas morning when they find Santa has delivered their own personally named Christmas Pamper Pack! All packs are individually wrapped to include your own special Christmas message for your dog. Select from any of the natural goat milk blends of shampoo and conditioning / deodorising spray plus one of three flavoursome natural Clean 100% Australian Dog Treats. Includes 1 x 500ml Shampoo, 1 x 250ml Conditioning Spray and 1 x 150gm Dog Treat. 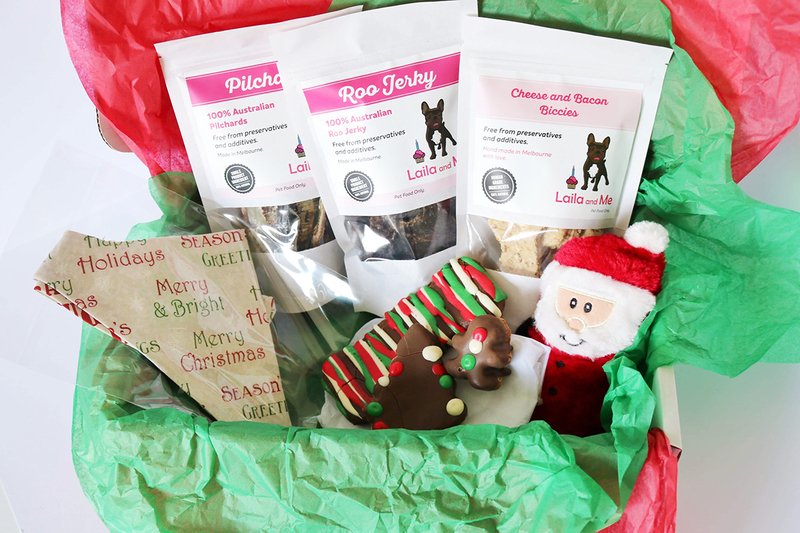 Spoil your pooch this Christmas with a box full of goodies from GoGetMe! Back by popular demand, GoGetMe’s Limited Edition Christmas boxes are packed full of even more Christmas fun in 2018! 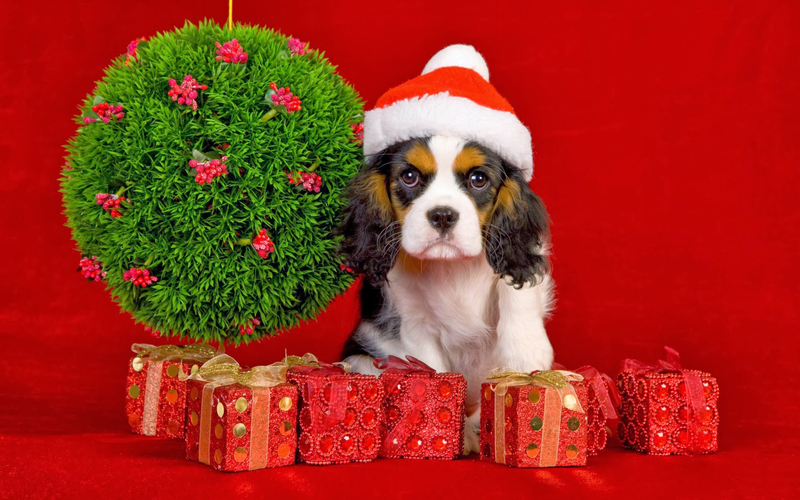 plus a whole lot of other Christmas goodies your pooch will love. Boxes are customised to your dog's size so you can choose from small, medium and large options. 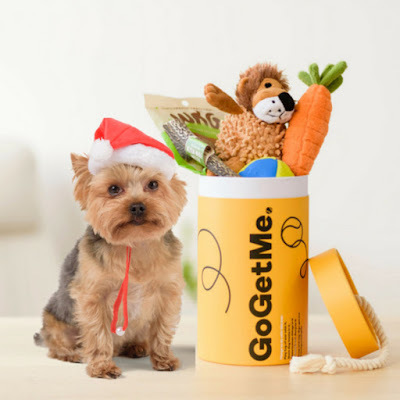 With FREE shipping Australia wide and limited stock available, GoGetMe is the perfect pressie for your pooch this festive season. If you order after Dec 10, 2018, use the code CHRISTMAS for $10 off! 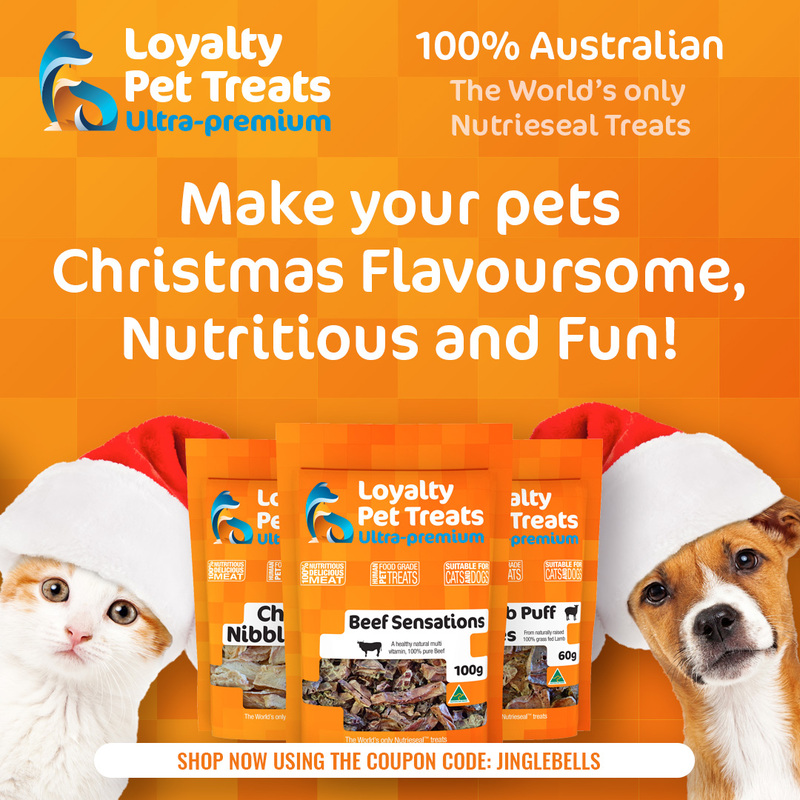 This Christmas and New Year, treat your pets safely with Loyalty Pet Treats. They're offering three of their totally pure Nutrieseal™ treats in a Christmas special including Chicken Nibbles, Lamb Crispies and Beef Sensations. Loyalty Pet Treats are the ultimate healthy reward for pets: the ultimate in pure natural goodness and taste. These treats are made using their unique patented Nutrieseal™ process to dehydrate pure lean meat at low temperatures and humidity, ensuring the full nutritional value and natural flavours are preserved. The result is a naturally delicious and healthy treat in a league of its own, unlike other normal moisture extraction techniques. Loyalty Pet Treats Nutrieseal™ process concentrates the raw material into an intense and flavoursome treat your pets will love! Use your coupon code JINGLEBELLS to receive free shipping Australia wide. Fill your dog’s stocking with these festive toys, guaranteed to bring holiday cheer to even the grumpiest humbug! This PLAY Holiday Collection consists of classic Christmas favourites including a Gingerbread Man, Candy Canes, Hot Chocolate, Yule Log and Roasted Turkey that will make your Christmas morning extra sweet and memorable. 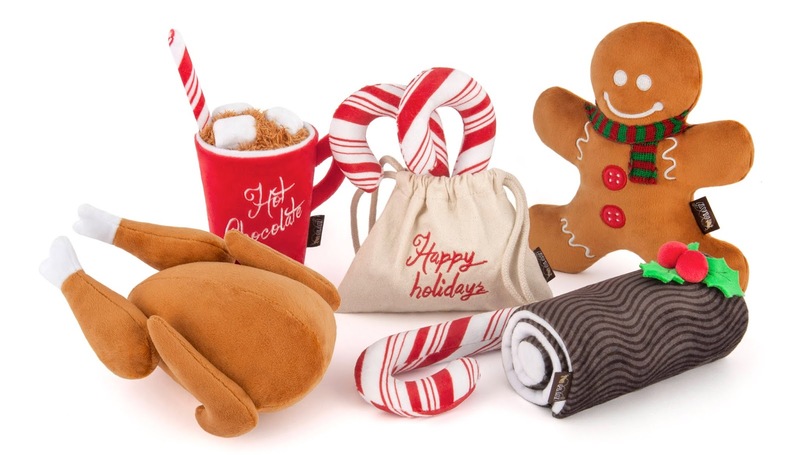 So squeak in the holidays together with your pup and capture the fun with these tasty holiday toys that are perfect for any photo-ops! Our pick? Holiday Hound Turkey featuring stretchable drumsticks! If your pup gets a bit too hungry and finishes off the turkey until there’s nothing but shreds left, you'll be pleasantly surprised when a durable, fun squeaker ball pops out to provide your pup with even more hours of rambunctious playtime. As with all PLAY plush toys, they are filled with eco-friendly PlanetFill®, double layered exterior and double-stitched edges for durability long after the holiday season. Much safer for your dog than a real stick and a whole lot more fun, ‘The Sticks’ are a lovable family of dog fetch toys who are not only dog friendly but eco-friendly too. 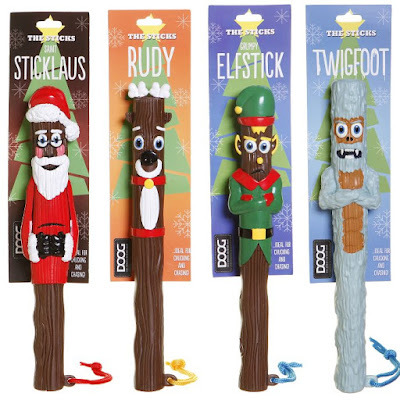 This range of Seasonal Sticks by DOOG make great gifts for pets for Christmas. They also ﬂoat in water and have glow in the dark eyes, making them the perfect stocking ﬁller for your dogs. There are four characters to collect: Elfstick, Rudy Reindeer, Stickclaus and Twigfoot. With a focus on style and fashion, the EzyDog Friday Collective range showcases unique raw materials sourced from around the globe and expertly crafted into the highest quality dog accessories in Australia. In addition to all the benefits of the standard EzyDog products, the new Denim range comes equipped with custom leather patches, jean studs, brass hardware and of course, a high-grade denim finish. You will find some favourites like their iconic Chest Plate Harness - which moulds to the shape of your dog to become a custom fit - and their Zero Shock™ Technology leashes. These high-spec, shock-absorbing webbing dog leashes feature a highly sprung bungee system that effectively absorbs any sudden shocks made by your dog. The blend of super soft, double density nylon makes this leash a pleasure to hold and outrageously strong. Cool and cute! Stand out from the pack with these rockin’ prints from Australian designer Huskimo. So good, your pup will be the star of the Christmas get-together! 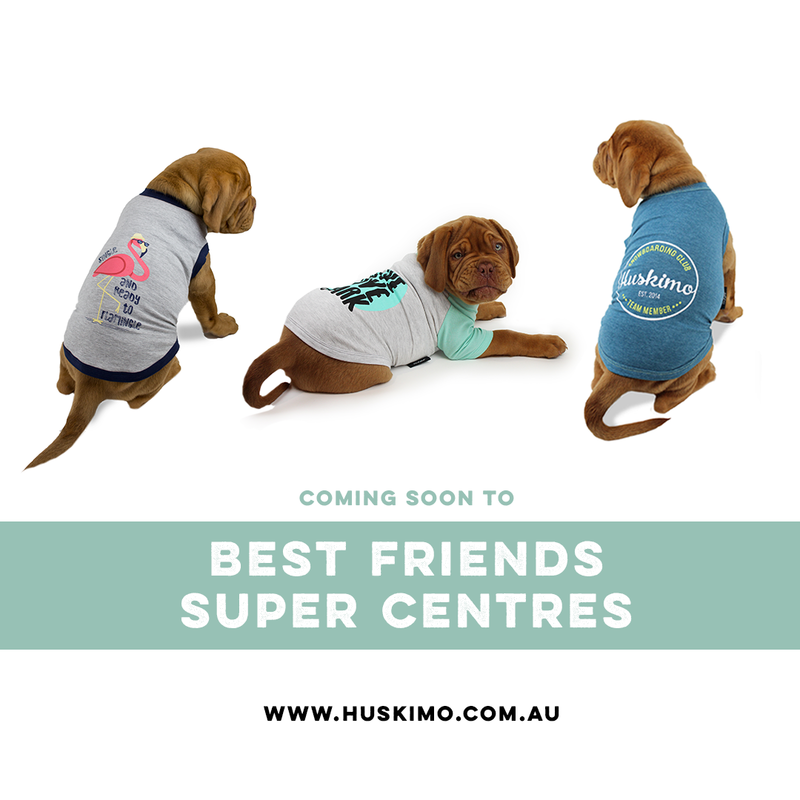 Huskimo Dog T-shirts are made from lightweight cotton blended fabric so they are soft on the skin and stretch for the perfect fit. Machine washable. RRP: $19.90-$29.90 from Best Friends Super Centres and Huskimo stockists. 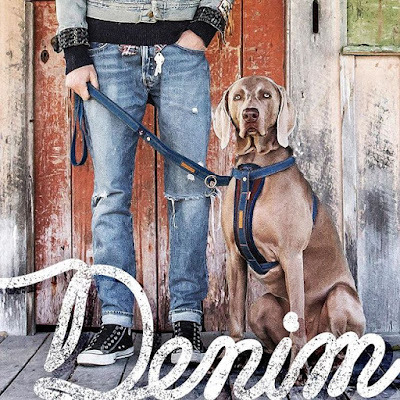 This Howlpot Walkwear is totally Instagram worthy! Upgrade your dog’s walk with this 100% hand-made rope created with a combination of German climbing rope and Buttero Italian leather. With time and usage, the ‘rope’ becomes softer. Ensuring an enduring and well-wearing quality. The colour is exhibited by matt texture adding to the sophistication of the rope. The Howlpot Ribbon Collars and Leads are available in four styles: Cherry Twizzle, Cloud Bay, Palm Tree, Yellow Jacket. The collar comes in 2 sizes (Small/Large). The new collection of Coco & Pud custom design reversible dog harnesses are fun, durable and perfect to celebrate the arrival of summer. Designed with luxe style, comfort and fit in mind, they will suit both big and little dogs. Adventure inspired by wilderness and camping will appeal to dogs who love the outdoors and their adventure seeking humans. Camo Hibiscus features a summer hibiscus camouflage pattern on the front with a print of island life, tropical island hideaways on the reverse side. Coco Chic features classic fashion elements e.g. black bow, pearls, handbag, coffee etc. whilst the reverse highlights feminine beauty. Hamptons inspired by seaside living will appeal to lovers of all things nautical, the perfect accessory for dog owners living by the beach. Made from printed neoprene and breathable mesh with adjustable chest strap looks. You can complete any of these luxury designer looks by adding a matching collar, lead, bow tie or dog bandana to your Reversible Dog Harness. Available in 5 sizes from XS to XL. 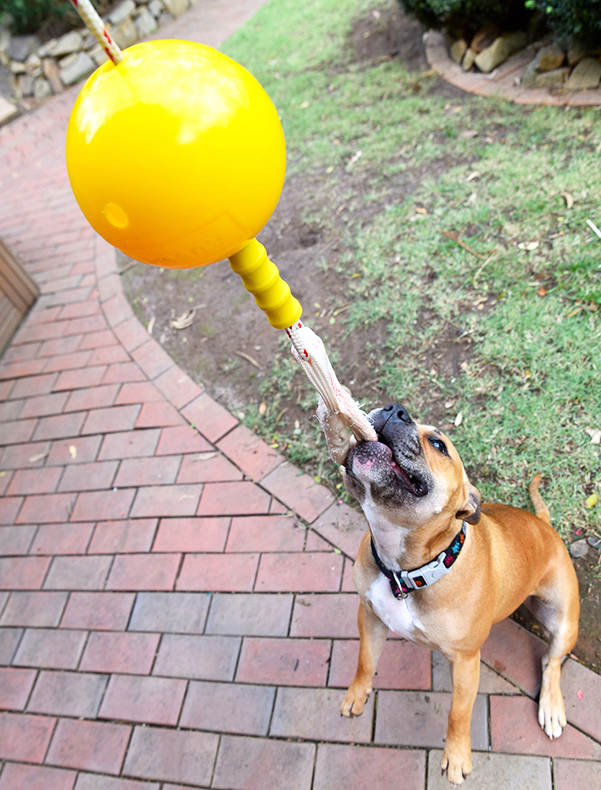 The Scream Ball Launcher is the perfect gift for the hot Australian Christmas - throw over and over with minimal effort! Each launcher fits a standard tennis ball and comes with a special Scream Tennis Ball. 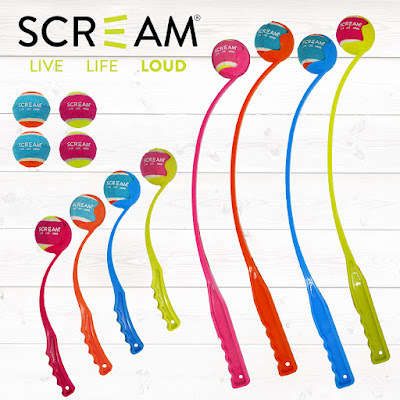 The great news is the Scream Tennis Balls are also available to purchase separately, a solid foam filling means these balls bounce higher than ordinary tennis balls, are more durable and go further, faster! The Launcher comes in two sizes: 38cm and 65cm. The smaller size is easier to control and more child friendly while the larger size will launch your balls further. Scream is all about living life LOUD! A perfect fit for the adventurous pet with personality. 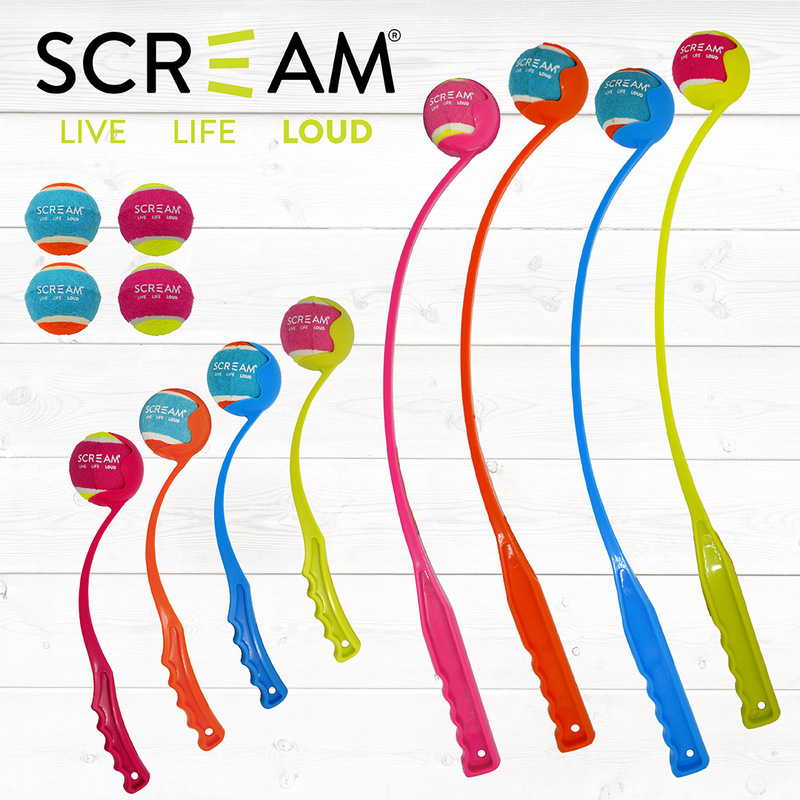 The range is almost entirely available in Scream’s signature LOUD colours – pink, orange, blue and green. From bedding, grooming, collars and leashes to toys of every description - find everything you need to spoil your pet this Christmas in the Scream range! 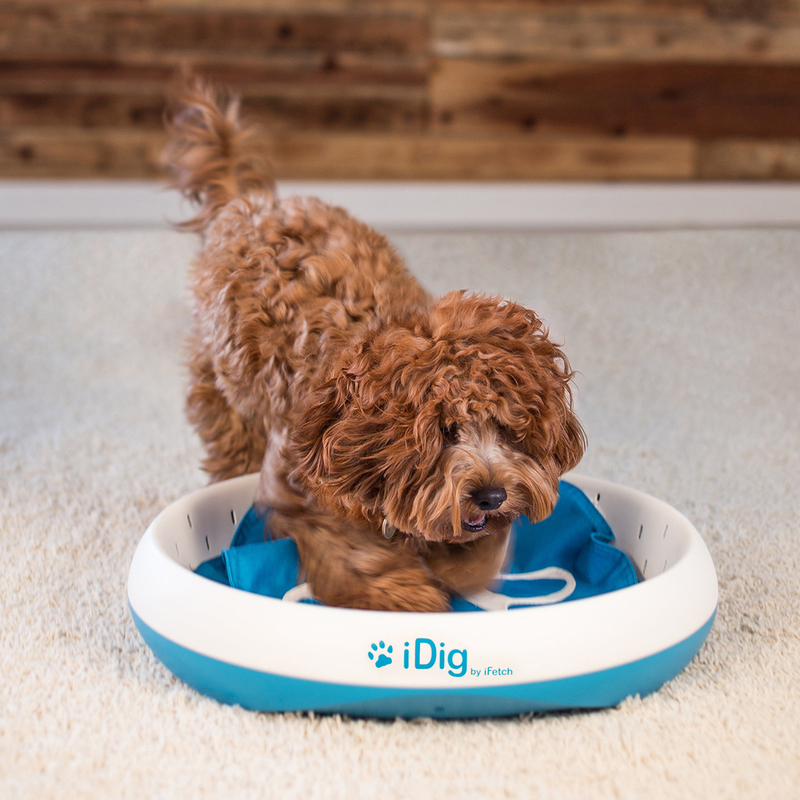 The first ever digging toy for dogs! The iFetch family is growing … and your dog is going to love the new iDig - 2018 winner of the Best Dog Toy (New Product Showcase) at SuperZoo! This revolutionary toy comes in two different models: Stay – a hardshell, compact version; and Go – a pop-up, flexible fabric version. Either way, your dog will dig it! So, how does the iDig work? Load with toys or treats and watch your dog dig away for the treasure. The different flap designs provide varying levels of digging challenges. The Stay model has a durable, hard shell design. The benefits of using iDig are to provide an outlet for your dog’s innate desire to dig and it will offer hours of physical and mental stimulation. The Treat Dispensing Snake Toy offers a wide level of enrichment making foraging fun. Great for playtime and mealtime, this engaging toy will stimulate all senses. These snake toys can be used as is for a game of fetch or light tug and they have an awesome squeaker. On the underside, they have a split belly which is perfect to stuff some favourite snacks, peanut butter, yoghurt and even a whole meal. They are easy to clean and can be popped in the freezer when filled with food to make a fun summer snack. Each snake is made of flexible rubber with a textured scale design which feels great on teeth and gums. Inside the snakes head is a high quality squeaker that dogs love. The curves of the snake and movement it makes during play keeps dogs interested, while owners love the bright colours (pink, blue and green). At around 41cm long, it's the perfect size to suit most dogs. 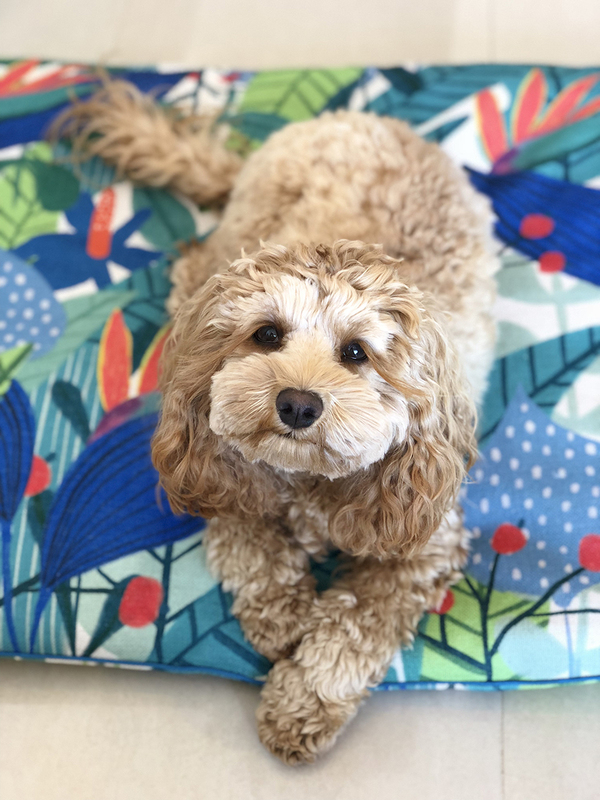 With the Australian Summer just around the corner, what better time to brighten up your home with a vibrant and contemporary new pet bed! Indie Boho have a range of designer pet bedding in unique designs, including their latest award-winning print "Jungle Song" by renowned Australian illustrator Binny Talib. Escape with a scene straight out of a tropical rainforest, with a perfectly balanced mix of soothing foliage shades, splashes of orange birds of paradise, and bold brush strokes that create this captivating design. Trust us, you will love to have this in your home as much as your pet will enjoy sleeping on it. Available in M, L and XL. Until stocks last. There is nothing better than a good night’s sleep and that’s the same for your dog. Why not give your dog the ultimate gift this Christmas, a personalised dog bed with their name embroidered on the front? 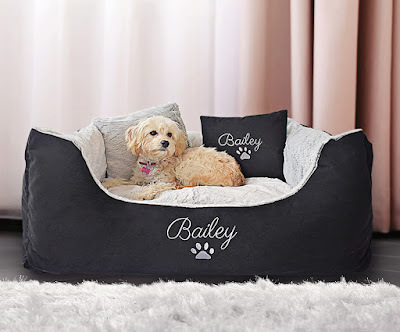 One of the many great things about Bailey’s Beds is that they also look great in your home. The covers are fully removable and machine washable, making them easy to keep clean and tidy. All beds are embroidered to order so please allow up to 2 weeks for delivery. Available in a range of designs (Black, Pink, Blue Stripe, Black Check) and sizes. We all like some music at Christmas time, even dogs prefer their own music! Pet Tunes is science-based music composed just for the dogs’ hearing sensitivity. A recent pet acoustic scientific study showed, what dogs hear triggers their behaviour and music composed just for canine hearing sensitivity can calm anxiety and noise phobic behaviour. Pet Tunes music, now used by many vets, animal shelters and behaviourists has proven to naturally restore a relaxed behavioural state for anxious pets. 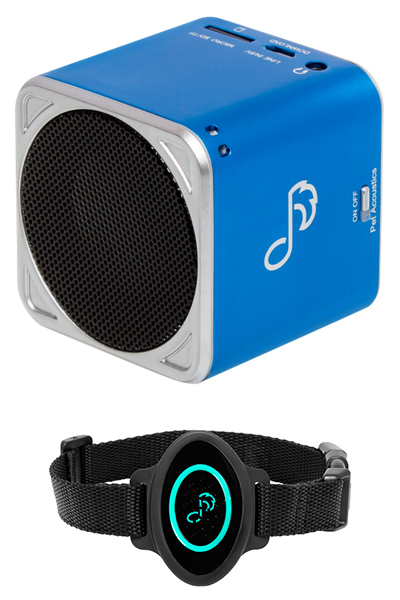 Pet Tunes comes as portable Bluetooth Speaker both you and your dogs can hear, whilst Ultra Calmer canine sonic dog collar is effective for a dog suffering anxiety triggered by thunder, fireworks, loud noise. Ultra Calmer - worn on your dog’s neck with music device located between the ears - has been shown to distract dogs from loud sounds and helps reduce agitation or frantic fear caused by storms or noise in their environment. So this year why not give a gift that will help your dog friend be stress-free all year around. Whilst we all love our dogs dearly, there is no denying car seats are designed for humans and not with fur, paws and wet dogs in mind! 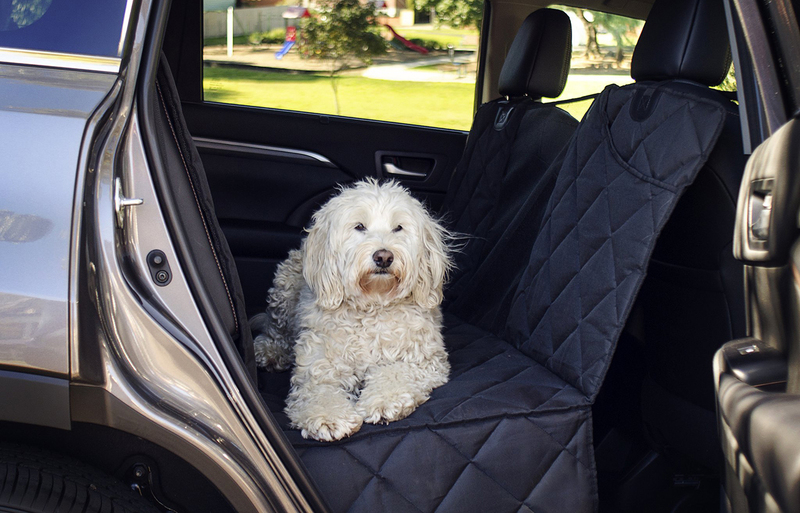 With its quilted design and luxurious thick padding, the Pawmanity Window Hammock offers a stylish new level of protection for your car and travel comfort for your dog. These elevated pet dinner bars are all handmade by Elite Macrame in Northern NSW. Each stand is made using properly seasoned camphor laurel timber chosen for its beautiful grain colouring. An added benefit is that the smell will actively repel ants which won’t go anywhere near your dog’s food! Choosing the correct height, an elevated pet food bowl may help avoid canine bloat and assist with your dog’s digestion. They’re also fantastic for dogs suffering from arthritis or joint mobility issues. There are many configurations to choose from: Single, Double or Triple Bowl, with pet bar sizes ranging up to 60cm. 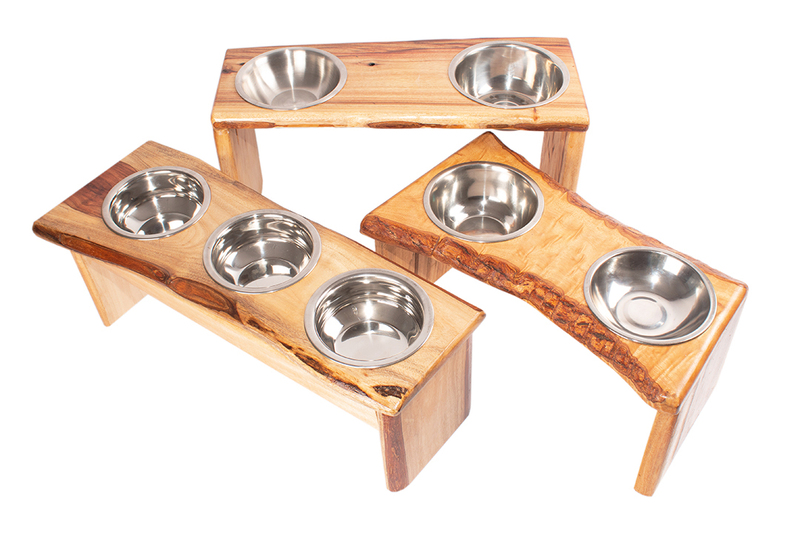 Each pet bar is individually crafted following the natural shape of the timber so you’ll end up with a unique piece. Please order early for Christmas with delivery times from 7-14 days. 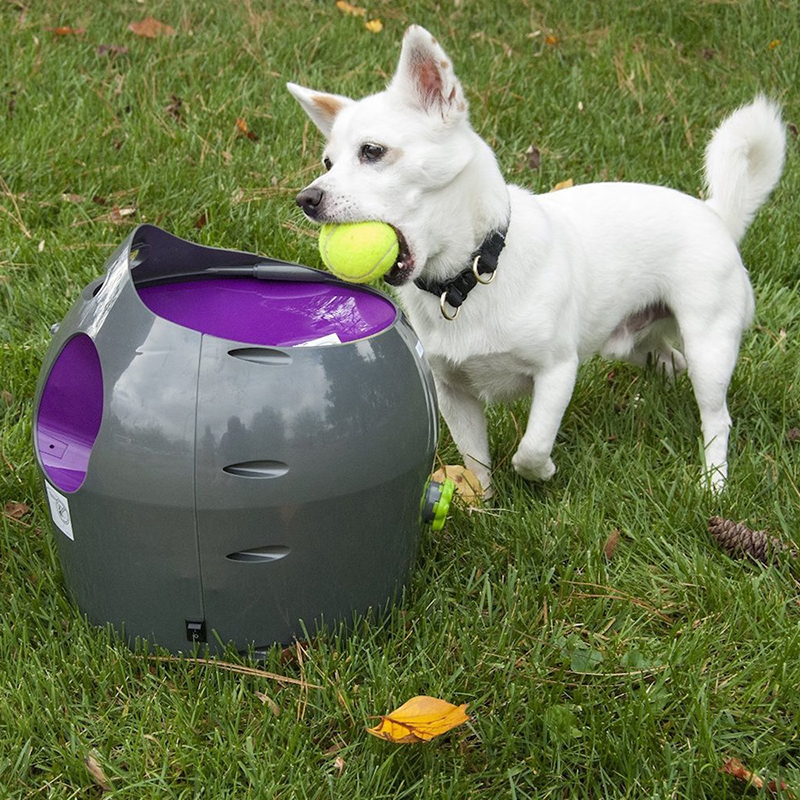 The PetSafe® Automatic Ball Launcher is an interactive way of playing fetch with your dog(s) that may save your arm! This water-resistant launcher is great for both indoor and outdoor use as you can adjust both the distance and angle settings. 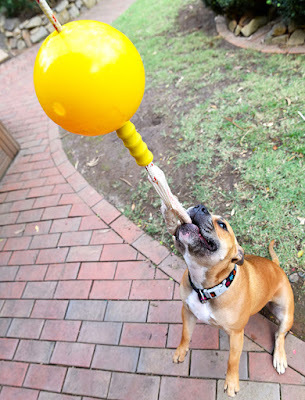 Ideally, you will train your dog to return the ball directly into the launcher so that they can play by themselves. The multiple built-in safety sensors will keep pets and people safe while playing fetch. The best feature is the automatic rest mode (after 15 min) to ensure your dog does not get overworked if he's a little ball crazy! Bored dogs quickly become destructive dogs so keep your best friend entertained while you are away with these Home Alone dog toys by Aussie Dog. The unique design stimulates your best friends five natural senses to assist in reducing excessive barking, boredom, destructive behaviour and separation anxiety. Home Alone size is based on your dog’s weight from Mini (1.5kg) to XL (over 50kg). Get your pet looking their best for the party season with the pawfect pair from Rufus & Coco - 2-in-1 Oatmeal Wash & 4-in-1 Pamper Spray! Free from nasties and pH balanced with hypoallergenic fragrances. Rufus & Coco 2-in-1 Oatmeal Wash is a shampoo and conditioner in one, providing a show quality shine. Mild and gentle enough for all skin types, and all furry friends. 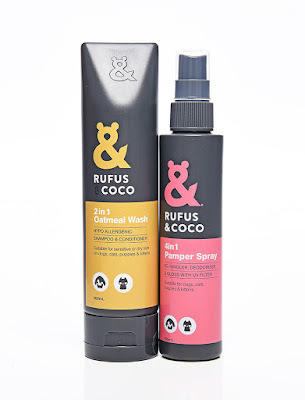 Rufus & Coco 4-in-1 Pamper Spray is a de-tangler, deodoriser and gloss with a UV filter that leaves your pet's hair looking spectacular! 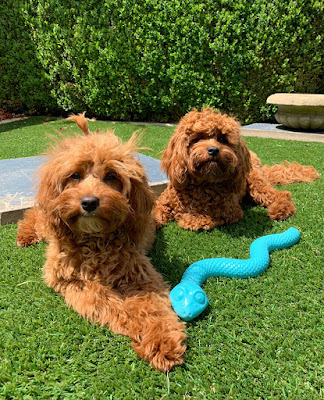 Rufus & Coco are the most awarded Australian pet care brand, built around the promise of providing well-bred pet care to ensure that pets around the world look good and feel great, naturally!